Every American wants to own their own home. Financially it isn’t always possible, particularly if you’re a first time buyer. According to the New York Times from 2017, the nationwide average home price is $182,500. Even with a deposit as low as 6 percent, this amount can be a struggle. 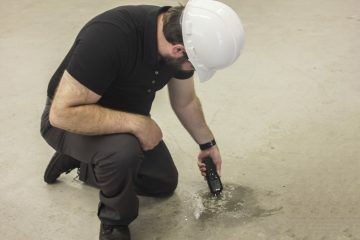 It turns out that concrete may well be the answer! 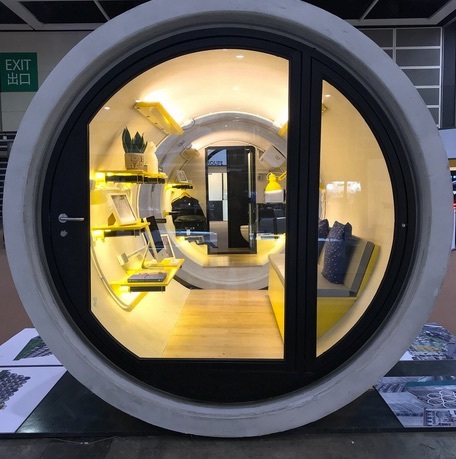 A little ingenuity and imagination has brought a solution—micro homes made from concrete tubes. There is a housing crisis in Hong Kong, partially due to the sheer number of people living in the city. The demand for homes is so high that James Law Cybertecture came up with the idea of repurposing concrete pipes, stacked over one another in a honeycomb form. These concrete micro homes, dubbed “Opods” provide 100 square foot of livable space, and are complete with electricity and plumbing. The ends of the Opods are glazed, to provide natural light throughout the tubes, which are 2.5 meters (8.2 feet) in diameter. This shows just how durable concrete is as a building material. How much does an Opod Cost? The cost of purchasing an Opod is around $15,000. The price is so small, you can pay on your credit card, rather than needing to get a mortgage or other loan. You can rent pods, too, for around $500 a month. Considering that the average rent is five times this amount, this is a bargain. It makes it affordable for people in their late teens and early twenties to move out of their parent’s home, without great expense. It is a small price to pay for independence and security. The concrete homes have a living room, including a couch that folds into a bed, a storage area for your belongings, a small wardrobe and a bathroom with complete with a toilet and a shower. There is drainage from the shower via a slatted floor underneath. The kitchen contains just a mini fridge, but this could be developed as the micro homes are researched. A camping stove type set up would make living in this tiny home more comfortable. Bearing in mind that each Opod has the same kind of facilities that is available in any hotel room in the country, they are completely functional. The homes are modern too—the entrance to the house can be opened using a smartphone. It is the strength and durability of concrete that makes these tiny homes so versatile in a city space where land is at a premium. The concrete tubes are stacked on top of one another, and it doesn’t compromise the material structurally. Because of their shape and size, they can be slotted into the narrowest area, between highrise buildings. Without the need for additional supports they can be stacked up four tubes high. They need to be moved by crane, however, as each tube weighs 20 tons. If you own an Opod, unlike an ordinary house, if you decide to relocate, theoretically you can take your home with you. What would this mean for America? It shouldn’t just be an American dream to own your own home—it should be a reality. Rethinking cheap and affordable housing could include the ingenious use of concrete and industrial concrete tubes. A survey of the country’s mayors has shown that having adequate housing and the affordability of houses as being the number one concern of citizens in cities. There isn’t enough housing construction, or space in many cases, to keep up with demand. What’s more, construction rules have become extremely complicated. There are zoning, and building code loopholes which are a minefield to overcome. It is simply easier for many companies not to build. In the wealthy cities, this has led to a lack of diversity. The neighborhoods that have family homes haven’t had any new construction for 80 years, despite the fact that the population is booming. Something has to be done to ease the situation, and small concrete homes could be one of the solutions. In cities with a large demand for housing, such as New York, concrete homes can be built into very small spaces in a stylish way. For a far smaller price than conventional apartments and houses, it can make city living accessible. This can be done without compromising the integrity of the existing buildings. There can be affordable homes, where previously this has been out of the question. Even for families, a series of Opod style homes, all linked could provide adequate space, for a fraction of the average house price. Out of the cities, in the areas where land isn’t at a premium, these small concrete structures can be linked up, or placed in a horseshoe formation that can be added to at a later date. A new baby comes along? A new section of your concrete house can be added. A home can be expanded when needed, without having to have the option of building an expensive extension. As the population increases, there will always be the need for new housing. Sometimes what has started out as a prototype, or even a wacky project is a viable solution. The phrase “think out of the box” is used all too often, but the use of Opods in Hong Kong is just that. The simple and idealistic American dream of being able to afford your own home is driving a change in the construction industry. For instance, in Atlanta, a village called Serenbe was built, filled with small one-bedroom houses, specifically for the retirement market—people that don’t have a regular steady income from employment. These homes cost $20,000. There was a need for sustainable, cheap homes, so they were built and they’ve been accepted. Concrete micro homes could be the way forward in providing a home for everyone that needs it. They could provide affordable accommodation to the new generations of people, allowing them to live independently. 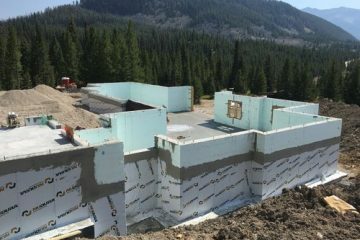 Concrete really is a material that could drive the housing market into the future. This article was written by Chrissy Jones and originally appeared in our July/August 2018 issue. Chrissy Jones is a writer and editor who began her career in financial advisory including helping construction and design startups. She’s spent the last 7 years as a freelance writer, working with a range of organizations, as well as helping to educate people on good personal finance habits.